The St. Kitts and Nevis flag has a long history despite the relative youth of the nation. The modern flag follows in the footsteps of several different colonial flags. All of those flags represented large groups of islands, which makes the modern flag the first to be unique to St. Kitts and Nevis. 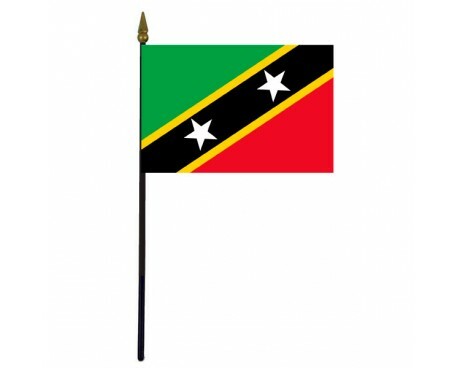 St. Kitts and Nevis flags consist of a thick black band that bisects the flag into two triangular sections. The band has a yellow border and contains a pair of white stars, while the two triangles are green and red. 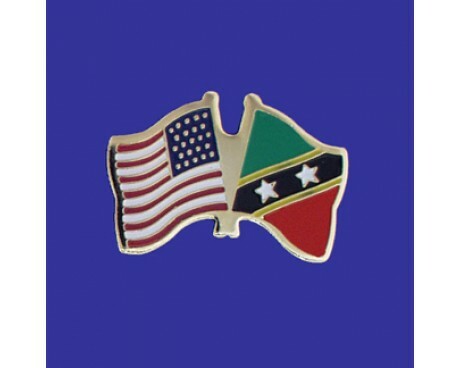 The two stars represent the two islands that make up the modern country, while the band that contains them represents the African ancestry of the nation's people. 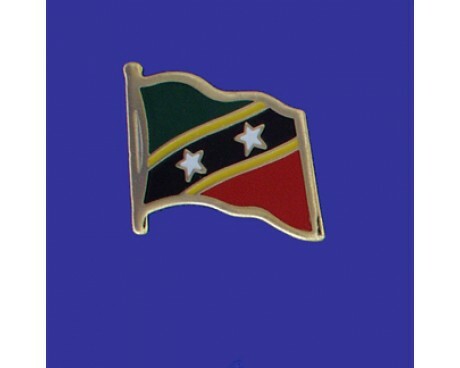 The red section is a symbol of the nation's struggle against slavery and colonial power, the green represents the lush plants that cover much of the country, and the yellow portion of the flag represents the sun that shines down on the islands. 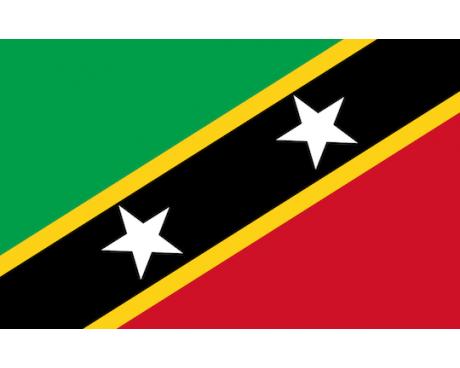 St. Kitts and Nevis were once part of the British Leeward Islands, which provided them with their first flag. The flag had a dark blue field with the Union Jack displayed in the canton and the colonial coat of arms in the fly. That flag fell out of use in 1952, when the islands of the Caribbean began to leave the British Empire. St. Kitts and Nevis became part of the West Indies Federation at the earliest stage of that process. The islands remained part of the British Empire at the time, but the Federation was preparing for independence and introduced a flag of its own as part of the process. The islands eventually formed a union with Anguilla, which adopted a flag of its own in 1967. It was not a unique St. Kitts and Nevis flag, but it was shared with only one other island. It was used until 1983, when the Anguilla separated from the other island and left St. Kitts and Nevis fully independent. The modern flag came into use at that time. It was the first of the St. Kitts and Nevis flags to be unique to those two islands, which have not seen fit to change it since it was first adopted.